You come here after checking 5000 Rs in title right? Don’t worry I will not embrace you because I have listed 4G mobiles under 5000 Rs after checking their reviews and lots of opinion videos on YouTube. After the launch of Reliance Jio, the need of VoLTE smartphone increased tremendously, and now they’ve become mainstream in 2017. You can gift below mentioned smartphone to someone without thinking twice because the smartphones in our have great camera (including front camera), HD display, good Ram and processor configuration. The listed smartphone has everything. you needs in 21st century without loosing much from their pocket. 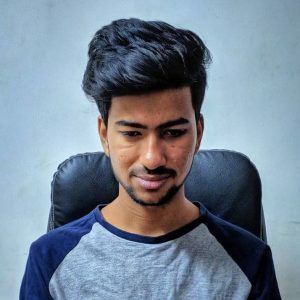 All the listed smartphones are of reputed brands with 1 year warranty and are value for money. 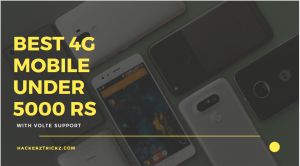 A Smartphone with great specifications and User Interface matters more than money, but still we tried our best in finding and testing 4G mobile under 5000 Rs which will be worth of money. Reliance Jio has taken the electronics market by storm. Last year in August Reliance Jio launched LYF flame 8 priced just Rs. 4199. 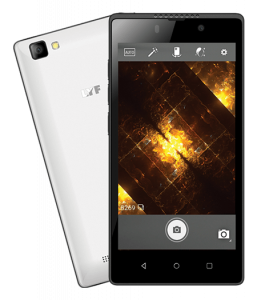 The Lyf flame 8 is powered by a 1.1 GHz quad-core Qualcomm Snapdragon 210 MSM8909 processor. As compared to the price of the phone it’s offering 1GB of RAM which is repressive and also offers 8GB of internal storage which can be expanded to 128GB by using a Micro SD card. The LYF Flame 8 also features a great quality rear camera of 8 megapixels and a front camera of 5 megapixels. It runs on 5.1 Android and other major features include Dual-Sim support for two micro SD cards, Bluetooth, WiFi, 3G and support and much more. Overall, for the price range, great features and trust on the Jio brand can make this phone a must buy for you. 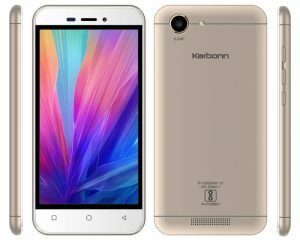 Karbonn Vista is another 4G smartphone which comes from one of the largest phone maker in India, Karbonn. It was launched on December 2016 and was just priced Rs. 4999. It posses a 5-inch touchscreen display. The Karbonn Vista 4G is powered and supported by a 2300 mAh non-removable battery and the battery life of phone had also received some great reviews for being long lasting. The Karbonn Titanium Vista 4G is powered by 1.3GHz quad-core MediaTek MT6580 processor. If you’re a camera fanboy than you can a find your space in this phone as is provides 8 megapixels rear camera and 3.2 megapixels of front camera to click super cool selfies. The Karbonn Titanium Vista 4G is equipped with 8GB internal storage and expandable memory of 32GB. Other major feature included Dual Micro Sim, Bluetooth, WiFi, 3G and 4G. And Sensors like Accelerometer, Proximity Sensor, and Ambient Light Sensor. Sansui Horizon 2 is just priced at Rs. 4999 and comes with a smooth 5 inch touchscreen Display. 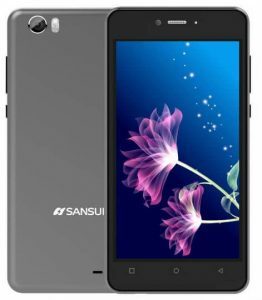 The Sansui Horizon 2 is powered by 1.25GHz quad-core MediaTek MT6737 processor. The internal storage of the phone is impressive as it can pack 16GB and the memory can be expanded upto 64GB by a Micro SD card. And, it also comes with 2GB of RAM. As far the camera goes, the Sansui Horizon 2 doesn’t disappoints you at all because it sports a 8 megapixels rear camera and a 5 megapixels front camera. The Sansui Horizon 2 is powered by a 2450 mAh battery which is non-removable. And, the phone runs on Android 7.0. The Sansui Horizon 2 is also equipped with some great features like Dual sim support, GPS, WiFi, Bluetooth, 3G, 4G, Accelerometer, Ambient Sensor, and Proximity Sensor. 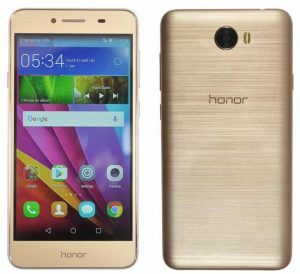 Honor Bee 2 is a phone launched by Huawei which is one of the most reputed Chinese smartphone manufacturers. It was launched in April 2017 and it was priced at Rs. 5890. It comes with a 4.50 inch Touchscreen display. Honor Bee 2 comes with 1Gb of RAM and 8Gb of internal storage which can be expanded upto 32 GB using a Micro SD card. And if you’re more concerned about camera than, you will surely find this phone interesting as it sports 5 megapixels rear camera and 2 mega pixels of front camera. The battery backup also won’t let you down as it is powered an supported by a very powerful 2100mAh non-removable battery. And, the Android version on which the phones runs is 5.1. The other major features includes dual sim support, Bluetooth, 3G, 4G, FM, WiFi, and different sensors like Accelerometer, Proximity sensor Ambient light sensor and Gyroscope. Alcatel Pixi 4 is a smartphone which comes with a 5 inch touchscreen display. It was launched on September 2016 and it was priced Rs. 4,444. 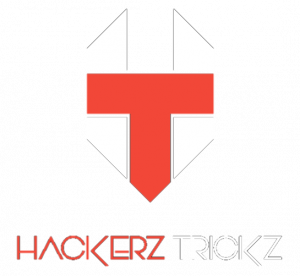 Although the brand Alcatel is not very popular in India, but as far the quality aspect is concerned you don’t have to think twice before going for the device. 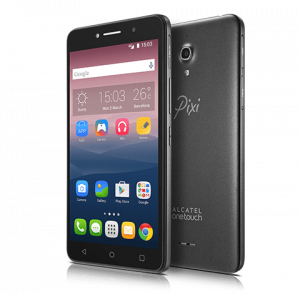 The Alcatel Pixi 4 is powered by 1GHz MediaTek MTK6735M processor and it also comes with 1GB of RAM. The camera is also impressive as the phone comes with 8 GB of internal memory which can be expanded upto 32 GB using a SD card. The Alcaltel Pixi 4 is powered by a 2000 mAh battery which is fortunately removable. And, the phone runs on Android 6.0. For all the camera lovers this phone keeps you intact as it is equipped with 8 megapixels of rear camera and front and 5 megapixels of front camera. The other major features includes Dual Sim Support, WiFi, GPS, 3G, 4G and sensors like Proximity Sensor and Accelerometer. Lava is one of the largest smartphones brands in India which is making super quality smartphones from over a decade now. As far Lava A77 is concerned, its one of the best phone of Lava till date. 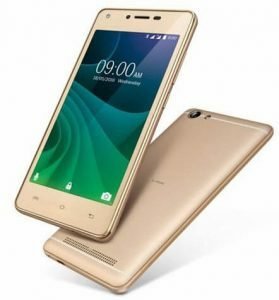 Lava A77 was launched on May 2017 and it is priced Rs. 4,999. Lava A77 comes with a 4.5 inched touchscreen display. It is powered by 1.3GHz quad-core processor and bulks up with power and speed as it has 1 GB RAM. The camera part is also very impressive sports a 5 Megapixels front and rear camera to make your photos crystal clear. Lava A77 comes with 8 GB of internal memory which can be expanded upto 32 GB by using a SD card. The phones runs on Android 6.0 and and is powered and bulked up with 2000mAH removable battery. The other major features includes Dual Sim Support, Bluetooth, WiFi, 3G, 4G, OTG, FM Radio. The Sensors includes Accelerometer and Ambient light sensor. 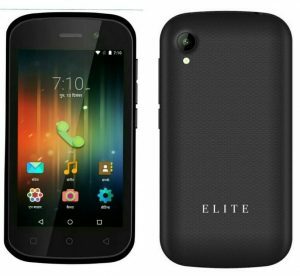 Elite Star 4G launched by Swipe Technology at the price of Rs. 3999. Apart from its features like 16 GB Internal storage, 1GB RAM, 5 MP Rear camera, 2000 mAh battery, the Indus OS makes this smartphone unique. Indus OS is world’s first regional OS and is the 2nd most used smartphone OS of India. It is based on Android 6.0 Marshmallow. It is OTG compatible, so you can easily connect external drive along with your memory card. It is powered by 1.5 GHZ quad-core processor. The smartphone is available in 2 color with 125.5×64.6×10.6mm screen. The only disadvantage of this phone is it only provides 1.3 MP front camera, you probably should not take selfies using front camera. The king of our list, Canvas XP is just awesome with the price range of Rs. 5715. I know the price range doesn’t suits the 4G mobiles under 5000 Rs category but still it’s a great buy. The 5 inch sized smartphone comes with 2000 mAh battery and it runs on Android 5.1 Lollipop. It comes with massive 3GB Ram (really). 3GB Ram in the price of 5715 Rs is just far than awesome. Along with that it comes with 16GB internal storage and 8 MP rear camera. 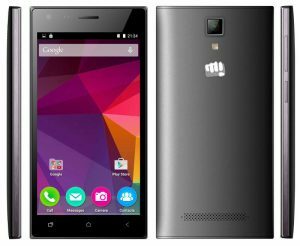 Micromax gathered fame in smartphone industry through YU phones and through it become the largest Indian phone manufacturer. Just like Swipe Elite Star, it also has the same drawback of 2 MP front camera. Ram & Storage 3GB & 16GB ? 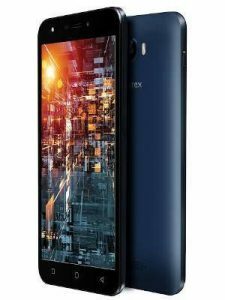 ERA X1 was launched in September 2016 with the price of Rs.4888. Era 1x comes with 1GB Ram, 8GB internal storage and it is powered by 1.3GHz quad-core processor. The front camera is of 5 MP and rear comes with 8 MP, so its a best choice for selfie shooters who are willing to buy 4G mobiles under 5000. It runs on Android 6.0 packed with Hive UI and backed by 2500 mAh battery. The key feature is Ambient light sensor, whenever you will receive a new notification or missed call/SMS it will notify you via small LED light on top of the screen. 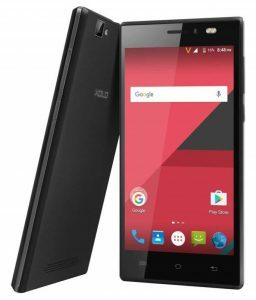 The last but not least, in the list of 4G Mobiles under 5000 Rs is Aqua 5.5 VR is the best smartphone of Intex in low budget. It is different from all above mentioned phones because it comes with 5 Mp rear and front camera along with LED flash light on the both side. Aqua 5.5 is powered by Mediatek Quad-core processor with 1GB Ram and 8 GB internal storage. The battery comes with 2800 mAh battery and external storage is expandable upto 32GB. It runs on Android 6.0 marshmallow and has 5.5 inch display. One of my favorites in the category of 4G mobiles under 5000 Rs. And the best thing is it comes with VR which they offer it for free. Our list of best 10 4G mobiles under 5000 Rs has all the feature that a normal user wants it in the budget. All the mentioned smartphones are available on Amazon and Flipkart. If you ask me to choose any one from the list then my answer will be a Big NO! Because all the mentioned phones are unique in their own way. So, go ahead, compare features with price and buy anyone which suits your requirements. 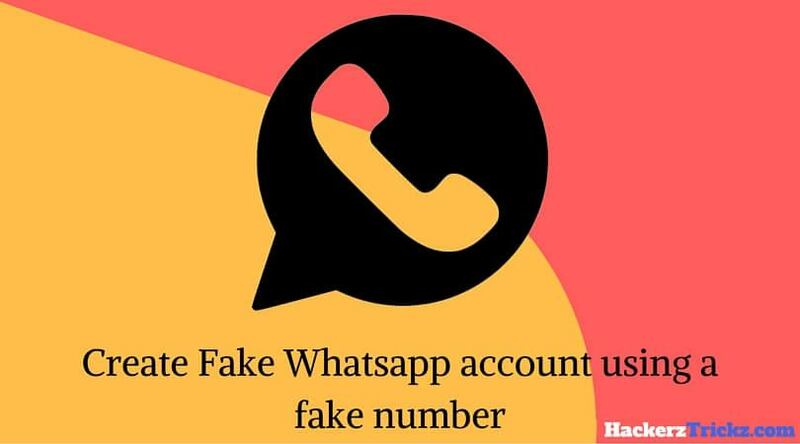 Hence, was the article on top best 4G mobiles under 5000. I hope you liked the article. Kindly comment your reviews in the comment box your reviews would be priceless for us. Nice artical keep it up……….